This week, I started my hall, stairs and landing revamp. Well, if I'm going to be completely honest, Miles The Worlds Best Decorator started the revamp with a ten foot ladder, nerves of steel and a lot of paint. LOADS of paint. In total, 25 litres of ceiling and undercoat, 15 litres of satinwood and 30 litres of Valspar Blanc De Blanc. Yep, it's a fairly big space. I've wanted to redecorate ever since we moved in, when I quickly realised that a pale apricot tinged wall for which you couldn't find a paint match (and therefore can't touch up) was no competition for countless near feral children running up and down the stairs. After a couple of months of living here, the staircase wall looked as if there had been a dirty protest. Usually, I would have thought nothing of it and gone ahead and redecorated myself, but the landing is a sheer 30ft drop. It's a task that is literally impossible for me to undertake without risking my own life in the process, not to mention the fact that I nearly fainted with trauma on the glass staircase at the Pompidou Centre due to the height views. Luckily, I managed to book in Miles, King Of The Paint Roller, to do the job so that my own survival wasn't compromised. What a life saver. Planning the space has been a fairly long process. As a family of five, including a teenage girl with approximately 170 pairs of trainers (average cost of each £65) and two boys, both of whom play for no less than two football teams, the hallway generally looks like the Primark shoe department during peak sale period. Football boots are kicked off, either spraying tiny black astro turf balls or clumps of mud and grass across the white tiles. Buddy the Lhasa Apso has an association issue with the dog walker arriving, whereby every time she opens the door there's a Pavlov's Dog effect (no pun intended) and he urinates on the floor. As a result, there's a constant fragrant waft of Shake N Vac permeating the area. The entire hall space is less stylish entrance foyer and more smelly locker room. I decided that in the 'new' hall, things were going to change. No school bags chucked willy nilly, no coats discarded, no muddy paw prints leading to the utility room. New hall, new rules. One of the main changes I want to make in our new rear hall is a console area. At present, we've got a long vintage school bench which is going to be relocated into the front and I'm going to move in a sideboard that I've had for years to create a console with a mirror above. In our previous Victorian home in Caversham, we had a wide hall with high ceilings. We were lucky enough to be given a long, 8ft landscape vintage mirror which is what would originally have been there when the house was built. It ran along the entire stretch of the right hand wall as you walked in and it was brilliant - ideal for checking that you looked okay as you left the house but with the added bonus of doubling the appearance of the hall. It looked so perfect in the space that when we moved, I couldn't bear to remove it. That and the fact that we'd lazily painted around it so it would have left a massive gap on the wall. 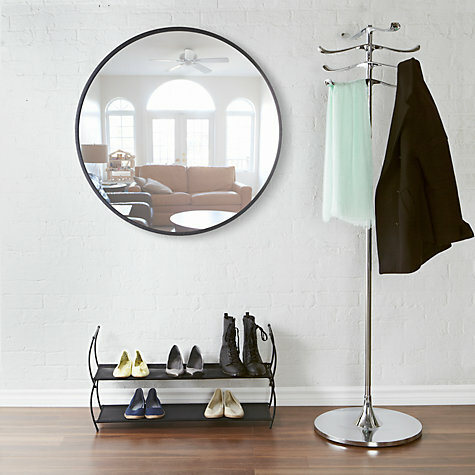 Mirrors are a brilliant addition to a small area - not only do they make your space look bigger but they also reflect the light. Console areas in hallways are also handy for remembering things, such as keys and essentials. This particular issue is one that I have struggled with over the years. As someone who once got on a bus wearing two odd shoes, anything that enables me to be onit is a good thing. Last week I was on the A64 south bound when I realised that I had forgotten to leave a front door key for the kids and there was no way of getting a spare other than from Joe who was three hours away in Boston, so I drove all the way back again. Two terms ago, I bundled Leo into the car and set off to school, only to arrive at a playground akin to the Marie Celeste - I'd totally forgotten it was a training day. What a knob. My crowning forgetful glory was when I went to collect Leo from school one afternoon, which at the time was a mere twenty minute drive away. I picked him up, merrily drove home, went into the kitchen to cook dinner and suddenly realised that I was missing something. That something was Buddy. I'd left him strapped up to the railings outside the playground looking like an advert for The Dogs Trust. After having a total meltdown, I phoned a friend who lived close to the school to collect him, but the damage was already done. His little face looked at me accusingly as I collected him, memories of abandonment already shaping his future in dog therapy. My reputation as York's answer to Cruella De Vil was hence set in stone and has never since recovered. Anyway, my aim for the new hallway space is to create an organised and efficient space that is also cool. 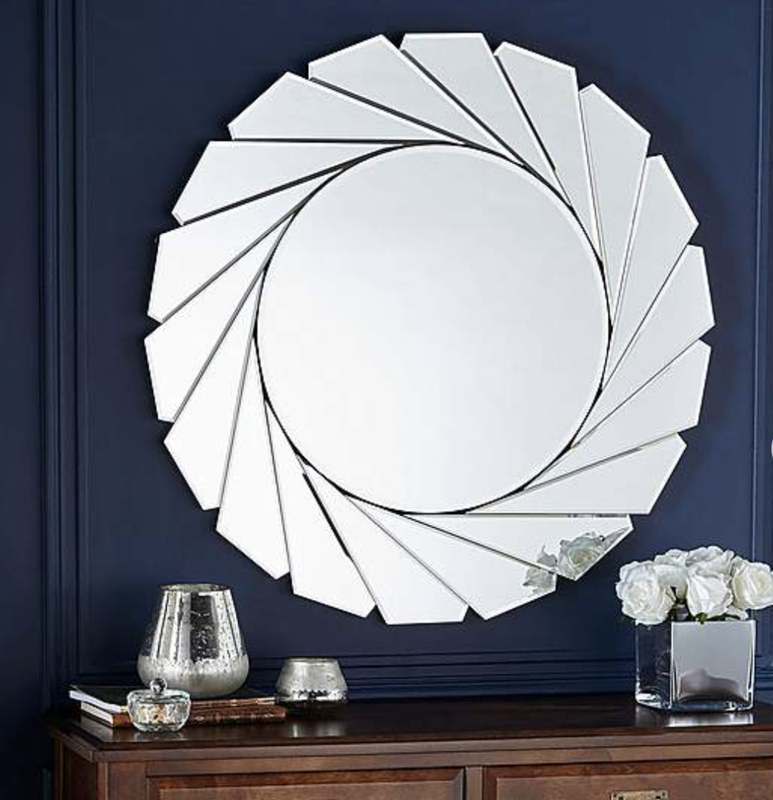 And to do that, I need a cool as, over a console style, large mirror. A good before-you-leave-the-house face checker, but also one that can double up as an excellent selfie source (I've got two teenagers - it's an essential). So in the interests of the perfectly styled entrance space, here's my top ten favourites, from keep to budget, to blow the budget. 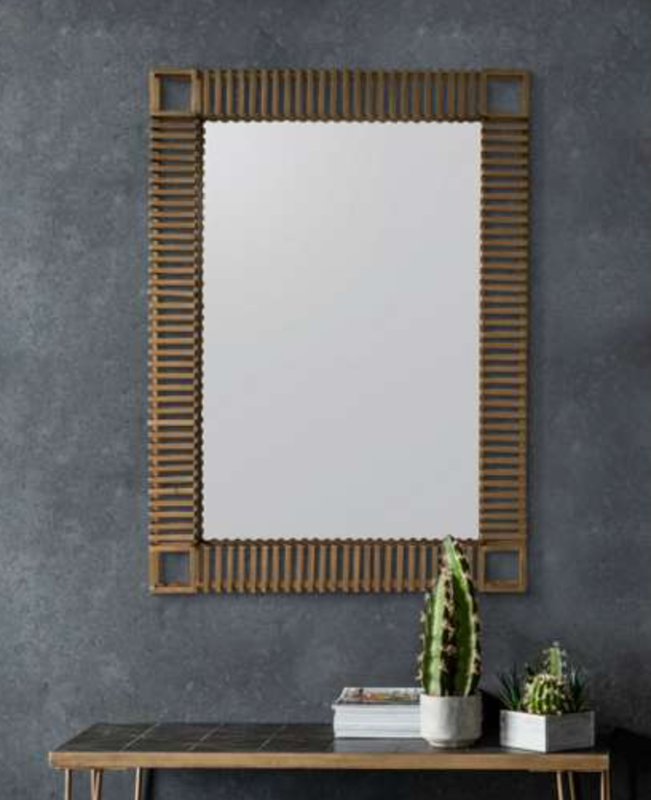 Each and every one of these mirrors is a sure fire winner and would look fabulous in an entryway, whether your space is big or small. For me, a console area will transform what is currently a bag chucking bowling alley into a (hopefully) stylish mini room and the extra light and space expansion the mirror will bring will finish it off perfectly. All I need to do now is remember where I put the car keys. And the dog.